Wild West Crypto Show Episode #52 - Why Are The Banks Anti-Crypto? Wild West Crypto Show Episode #50 - Earn Money Using Social Media? 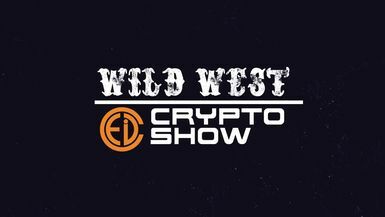 Wild West Crypto Show Episode #49 - Blockchain Dating App? Wild West Crypto Show Episode #47 - Things are moving RAPIDLY! Wild West Crypto Show Episode #39 - Welcome to World Crypto Con Las Vegas! Wild West Crypto Show Episode #35 - Who is the Hardest Working Man in Crypto? Wild West Crypto Show Episode #34 Biking for a Cause/Is Crypto Money?